An expertly guided self-myofascial release and stretching session that will progressively ease and soften your body until you are a warm puddle of melted butter (vegan alternatives available). The perfect complement to Reformer, Functional Fitness or vigorous yoga styles. No pushups. Restorative Yoga is a practice dedicated to constructive rest. 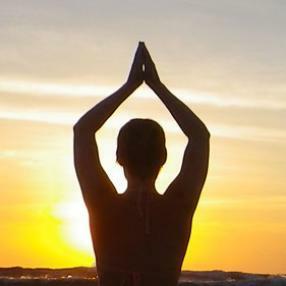 It emphasises being rather than doing & offers a deeply nourishing & restful yoga practice. Restorative classes include passive poses, supported inversions & somatic meditation. They provide a space for stillness & rejuvenation, as a counterpoint to the constant stress of busy lives. Jaye’s somatic approach offers a deeply embodied experience that is both restful & transformative. Students develop key somatic awareness skills that enable rest to become restorative. Learning to yield the bones, quieten muscle tissue & restore organ tone is a re-patterning process that restores efficient functioning of these systems & provides the basis for sustainable action. Restorative practice makes extensive use of yoga props to create a fully supported practice that allows students to rest deeply into the restorative postures, without physical or mental stress. There is an emphasis on releasing techniques & clarity of alignment to minimize unnecessary effort & uncover more energy efficient ways of being. Care & attention is given to individual needs to ensure that the practice meets & supports your body & nourishes your energy. Experience of the many benefits of mindfully resting the body! End the week with an hour of relaxing yoga.